Too busy with all my trip preparation for the upcoming Urban Sketchers Symposium in Lisbon that I am booked to attend... So spending my time recording the all important decisions that an urban sketcher needs to make before going on a sketching holiday. More of my crazy trip prep sketches here. 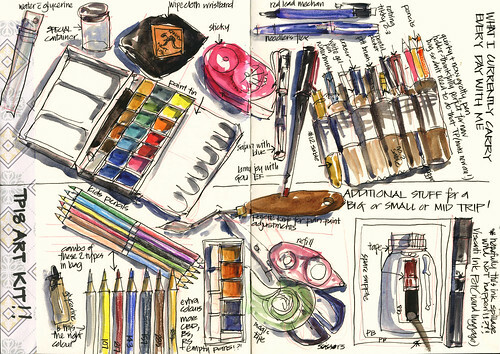 But I do hope to get out sketching on Saturday... Joining some other urban sketchers at the Maritime Museum, Darling Harbour– there is a great exhibition on Scott’s expedition to the south pole..but I think I might just focus on drawing. The Sydney Sketch Club is meeting at the big anchor at 10am and will then meet up back at the anchor at 12.30 to see what we have all sketched. Then lunch together...and more sketching? Come along if you would like to meet and sketch with a great bunch of friendly people.